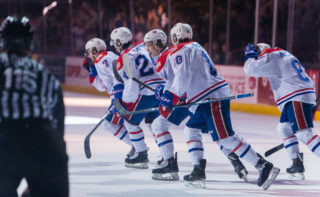 SPOKANE, Wash. — The Spokane Chiefs dropped their fourth game in a row in their regular season home finale on Friday night, 2-1 to the visiting Tri-City Americans. 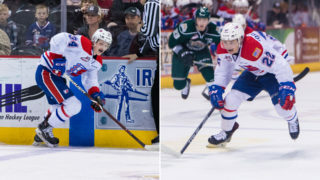 The Chiefs, who were without forwards Kailer Yamamoto and Zach Fischer, struggled to find the back of the net despite firing 35 shots on goal. Eli Zummack scored Spokane’s lone goal, deflecting a Riley Woods shot midway through the third period for his 15th goal of the season. Michael Rasmussen led the Americans with a goal and an assist, opening the scoring with a deflection goal at 8:40 of the second. Rasmussed assisted on Jusso Valimaki’s 14th of the year under a minute into the third period to put Tri-City up 2-0. Bailey Brkin, making his first start in goal since being recalled by the Chiefs earlier in the week, saved 28 of 30 shots on the night. 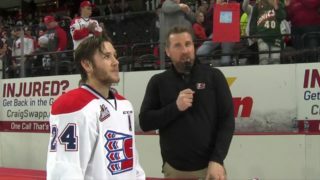 Tri-City’s Patrick Dea went 36-for-37 for Tri-City to earn first star honors. Spokane ended the night 1-for-5 on the power play and 3-for-4 on the penalty kill. 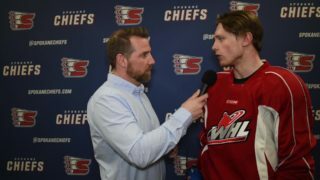 The Chiefs and Americans will meet again Saturday night in Kennewick before the Chiefs finish their regular season schedule at Portland on Sunday. 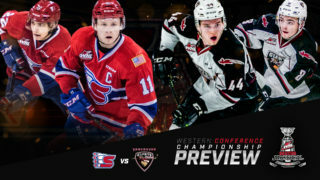 The Chiefs have qualified for the 2018 WHL Playoffs but their first round opponent is yet to be determined. 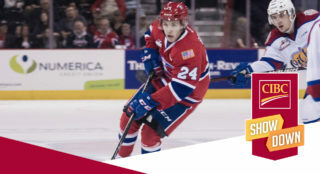 Spokane’s first two home playoff games will be played on Wednesday, March 28 and Thursday, March 29. Single game tickets to those games will go on sale Monday, March 19 at 9 a.m. They will be available online, in-person at the Chiefs’ Ticket Office, or over the phone at 509-535-PUCK.